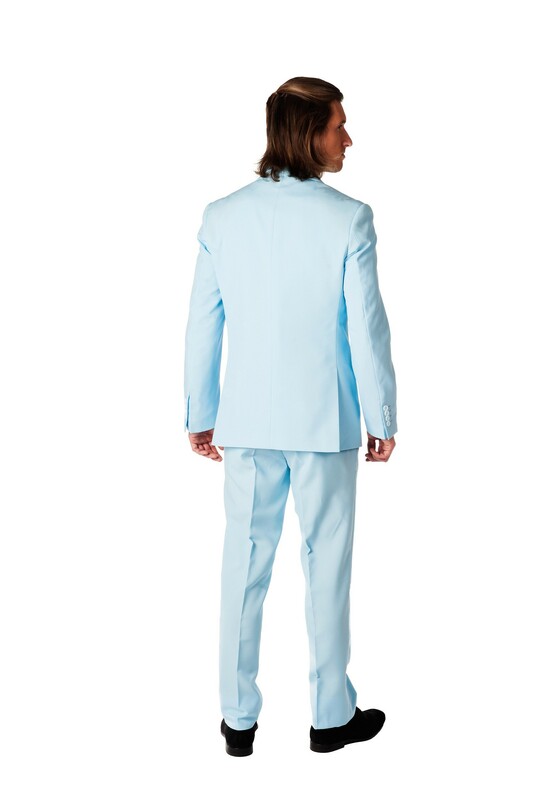 Even though this Mens Opposuits Baby Blue Suit is just as sharp as the rest of the Opposuits line, choosing this cheery color will people know that you've got a softer side. 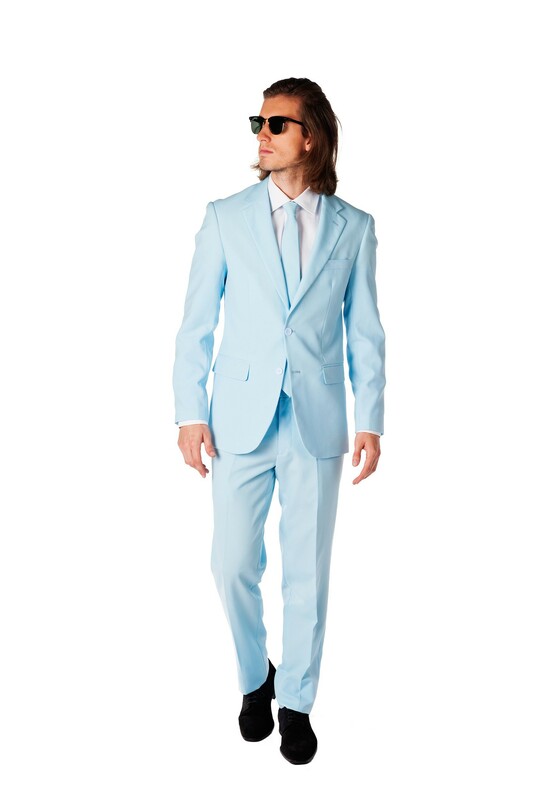 It will show people that you're all in favor of looking good, so long as it doesn't harsh anybody's mellow. It's tailor-made for a guy who likes to keep things light: the kind of guy who isn't too caught up in the rat race to witness one of life's little miracles. Maybe that means pausing to appreciate a trio of robin's eggs in the nest you spotted from the back of your bike, their improbable blue shining out from the thatched brown backdrop against which they were laid. Maybe it's the powdery scales on the wings of the butterfly that you found sunning itself on the windowsill, their vibrant hues made even more brilliant by the light of a perfect afternoon. Maybe it's just a moment spent reflecting upon one more day we've all managed to avoid the apocalypse, or the fact that another weekend is always on its way! 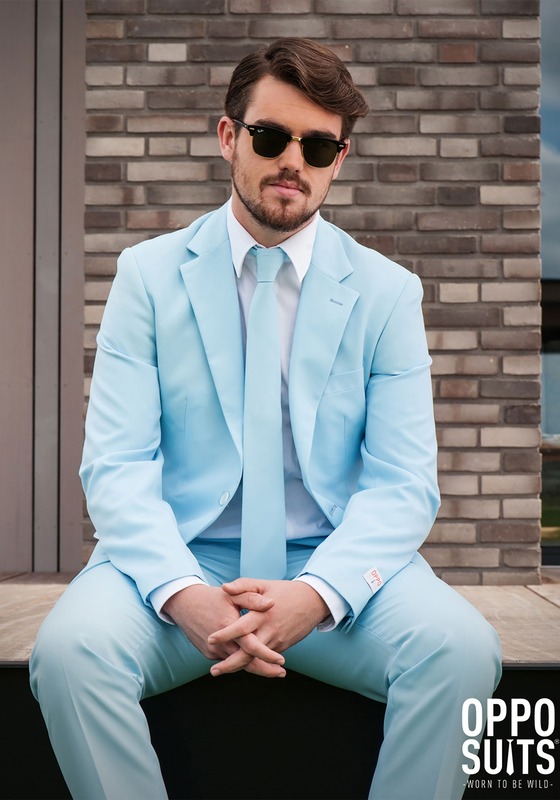 Since traditional suits come in such drab and conservative neutral tones, a bright blue suit like this is guaranteed to make people take notice. And since you've been taking notice for years, now, you'll be way ahead of the curve. Just be kind to those who don't have your practiced talent for observation: help them learn patience, and show them the path to true insight. Then we'll all enjoy a brighter, better dressed world!